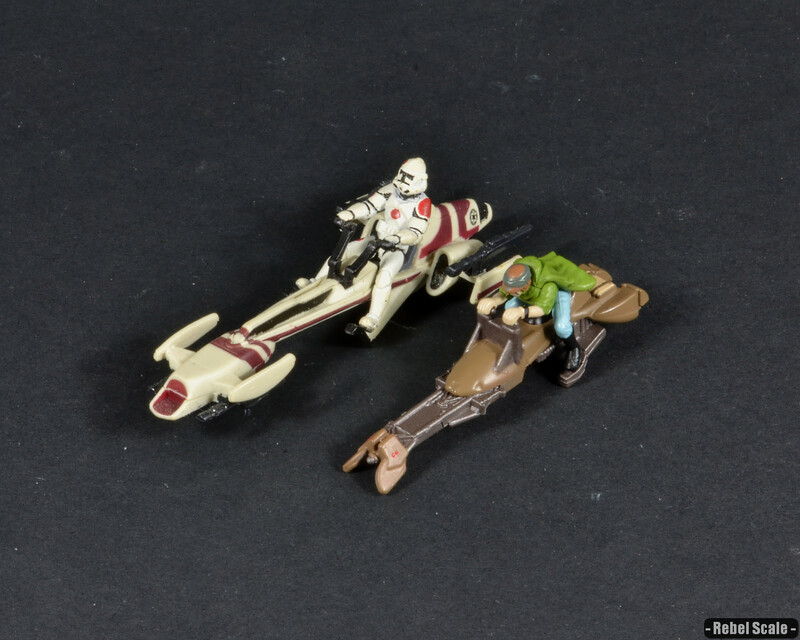 The BARC speeder came from a miniatures pack exclusive to Target. 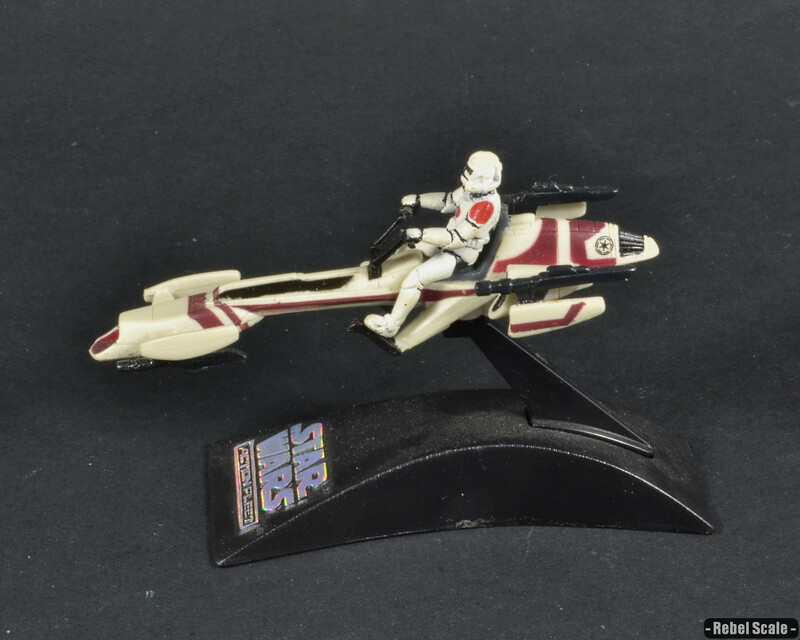 While most of the minis were not that great, I really liked the BARC speeder. I bought another one to detach the figure, then I removed the figure from the first one. The handles were originally molded to the hands, which is why I needed two. 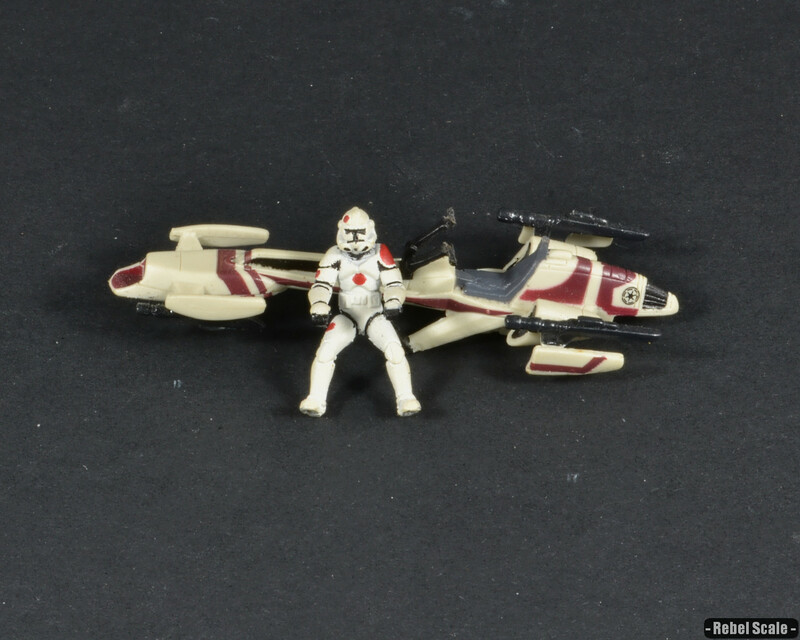 Apart from some minor detailing on the speeder, the primary paint job was the figure. Originally in an ugly camo scheme, I repainted him to look like a 91st Recon Clonetrooper...seen in Revenge of the Sith. 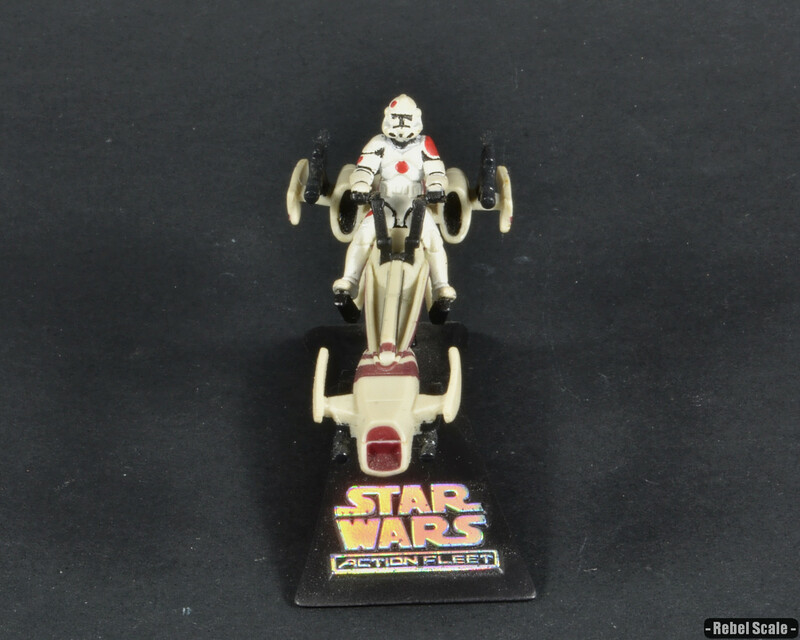 The Biker Advanced Recon Commando (BARC) Speeder was a heavy speeder bike employed by the Republic during the Clone Wars. Larger and more powerful than the 74-Z variant, the BARC was ideal for quick hit-and-run missions. It saw use on several planets, garnering preference from Clonetroopers who considered it safer than the relatively fragile 74-Z. 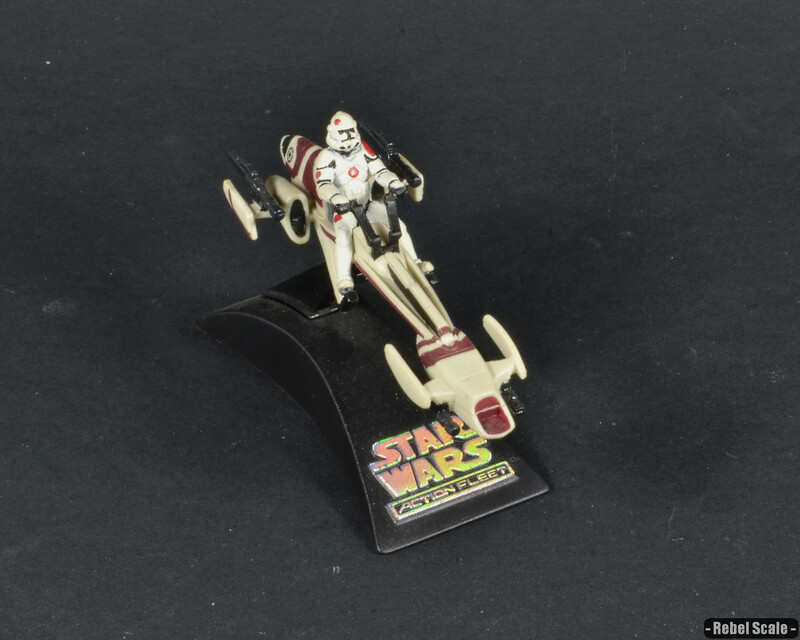 BARC Speeders were a favorite of Commander Neyo and the 91st Recon Corps, who utilized the powerful speeders for the Siege of Saleucami during the last days of the Clone Wars. It was his unit that executed Stass Allie when Order 66 was issued.